DMS managed the social media campaign for the UK home entertainment release of the third season of smash hit Italian crime-drama Gomorrah, for Arrow TV. DMS’ Social and Creative & Digital teams joined forces to deliver a full-service social media campaign, including the planning and creation for over 20 pieces of original content including motion posters, trailer cutdowns, cinemagraphs, animated packshots, shareable videos and an infographic aimed at getting new fans into the show. The Social team developed a 6-week content calendar that incorporated 14 Facebook posts, 19 tweets and 5 Instagram posts, scheduling the posts and engaging with the fan community around the show and tracked their reactions. 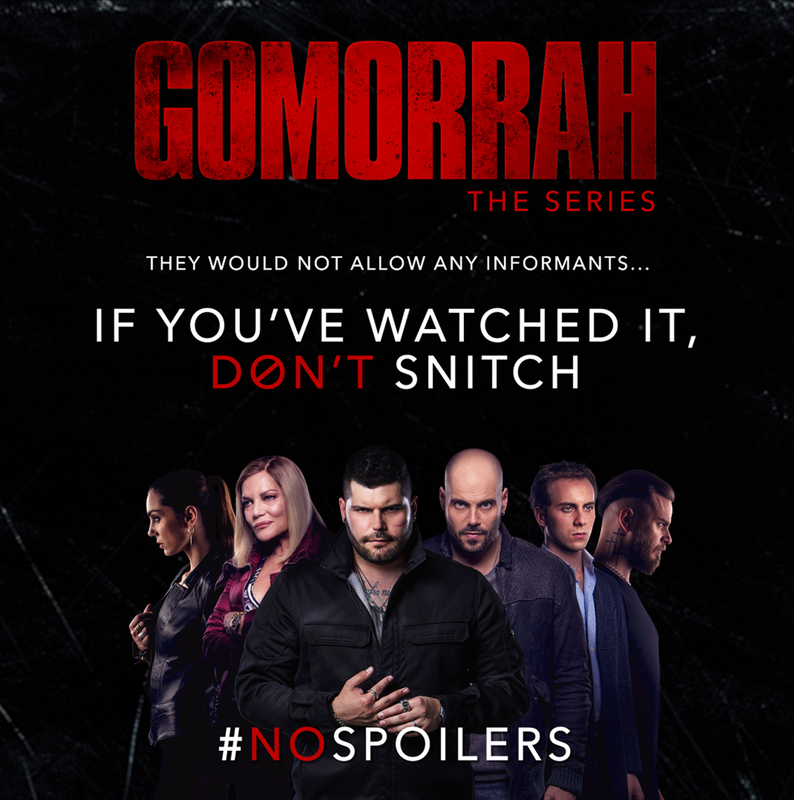 One of the most popular posts was a DMS-led initiative to encourage fans not to share spoilers on the page for UK viewers who had not yet seen the latest episodes. The activity across three owned channels, including a newly established Instagram account for the series, generated 1.5 million impressions and drove over 190,000+ video views and 32,000+ engagements. Through effective organic community engagement, more than 50% of all people reached on Facebook had not previously liked the series page, demonstrating that the posts successfully drove reach beyond the existing fanbase through comments and shares. Based on on-going social buzz monitoring to understand the wider impact of the campaign, the team tracked 7,400+ mentions with over 24 million potential impressions achieved via influencer and editorial outreach.